Kristen Stewart desperately wants boyfriend Robert Pattinson to knock her up . . . or, you know, maybe some other random guy she hooks up with. What does "boyfriend" really mean, anyways? Seems kinda restrictive. "I can&apos;t wait to be a mom," Kristen, 22, gushed to Life & Style on Nov. 1 while promoting Breaking Dawn--Part 2 in LA. Even the typically tight-lipped Rob, 26, added that the infant who first played their on-screen daughter, Renesmee, was one of his favorite co-stars, and that "working with a baby is great." What&apos;s more, the twosome&apos;s baby talk is far from idle chatter, confirms a pal of Rob&apos;s. "Now that Kristen is back together with Rob, she&apos;s obsessed with keeping him, and she knows he wants to be a young dad," says the insider. "So she&apos;s telling him, &apos;Let&apos;s do this; let&apos;s make a baby!&apos; Before the cheating, he as the one pushing for marriage and children. Now it&apos;s her." Are Kristen Stewart and Robert Pattinson Planning to Have a Baby? 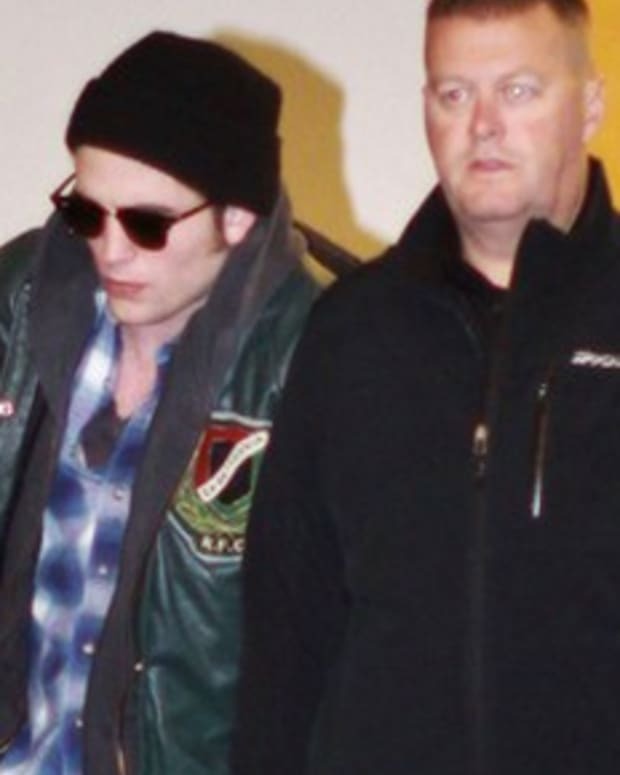 Robert Pattinson and Kristen Stewart Having a Hard Time Being Apart?